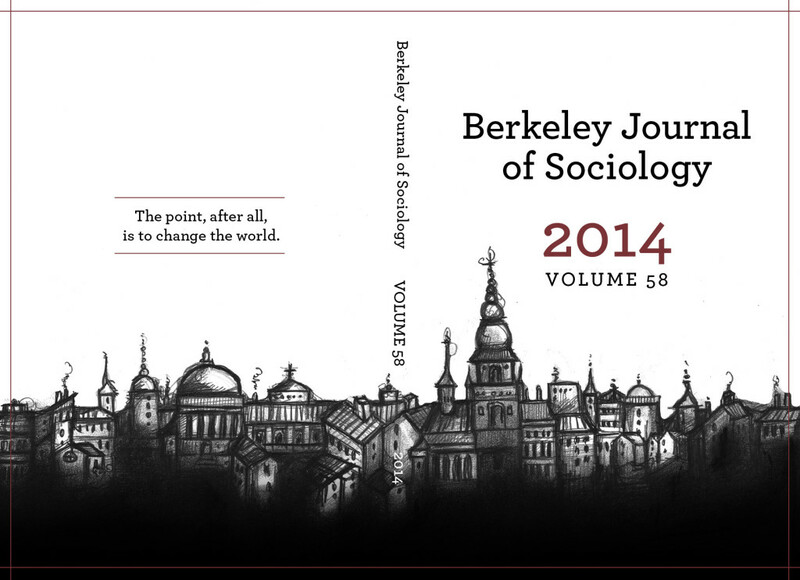 Today marks an important day in the 59-year history of the Berkeley Journal of Sociology. Over the course of the last year, we have re-imagined, re-organized, re-designed and re-invigorated one of the oldest graduate student publications in sociology. This morning, we launched our new website and published our 2014 print issue, Vol. 58. For almost sixty years, the Berkeley Journal of Sociology has published pioneering sociological research, foreshadowed the rise of new areas of inquiry, and offered critical perspectives on mainstream sociology. Run by an editorial collective of Berkeley graduate students, the BJS published works of graduate students and untenured faculty long before mainstream journals would allow such voices. At different times throughout its history, it has confronted, critiqued, and expanded the frontiers of American sociology by publishing the work of emerging scholars. Yet the original publishing model of the BJS has found itself increasingly at odds with the landscape of academic publishing and within a changing information economy. Most peer-reviewed journals of the social sciences are now frequently publishing the work of current graduate students. They are better positioned to fulfill this task. At the same time, the BJS had already begun to publish online forums and critical reviews that intervened in public debates. Some of the journal’s most compelling and well-received articles fell into those categories. The Journal thus found itself in an unfamiliar position: to do justice to its rich history of shaping sociological discourse, the BJS had to both reinvent itself and also redefine the purpose and potential of an academic publication in the early 21st century. Indeed, this was a natural next step for a journal that has always directed the gaze of its readers outwards into the world and inwards onto disciplinary conventions and practices. As Michael Winter and Ellen Robert wrote in the 30th anniversary issue, the Journal has walked the fine line between “enough tolerance to promote flexibility, but not a vacuous openness to fashion.” This mission remains just as relevant today. The new print issue of the BJS (Vol.58)—and the new website that you’re looking at—marks the end of a year-long process of reinvention, and the beginning of a new chapter in the Journal’s history. We decided to no longer publish academic research articles. Our efforts will instead focus on writing a “history of the present.” We believe that the current informational landscape is marked by an over-abundance of news and a dearth of insightful analyses and perspectives from the social sciences. We believe, too, that sociologists can provide unique insights, interpretations and analyses about history as it unfolds before our eyes. Some of our authors are professional academics; others are activists, organizers or artists who think sociologically. They have contributed essays, commentaries, interviews, and visual narratives about a wide range of topics and places, but are united in their critical and reflexive take on contemporary society. The BJS seeks to provide a forum for such voices and to open up a space to re-compose social research into a wide range of written forms, unobstructed by technical jargon and unconstrained by formalistic rigidity. The task before us is to arm our critiques with power; not only to critique, but to intervene; not only to intervene, but also to gain ground. As graduate students, we seek to broaden the interpretive range, imaginative scope, and prospective application of our research to political struggles, emerging cultural trends, and imagination of alternative futures. We are not content to be relegated to the sidelines. The task before us is to arm our critiques with power; not only to critique, but to intervene; not only to intervene, but also to gain ground. We seek to provide a forum to wrestle with questions of how to get from Point A to Point B; that help fill in the map of the terrain before us. The Journal does not adhere to any particular school of thought, nor does it devote its thrust to the translation of research articles into colloquial language. Instead, it is the stated aim of the BJS to contribute to public debates by utilizing sociological knowledge to contest unquestioned assumptions, complicate common sense, challenge spurious empirics, supply theoretical frameworks, and mount political critiques—in other words, to regard the interpretation of the social world as a constituent element of attempts to change it. Beyond disciplinary publics – The BJS no longer seeks its sole audience among the ranks of current and future professional sociologists. Instead, and drawing on a long history of public sociology and interdisciplinary endeavors at Berkeley, it engages audiences and recruits authors across backgrounds and disciplines, and it encourages the sharing of content across publications and platforms. Diverse content – The Journal has shifted its focus away from the publication of research articles to essays, analysis, commentaries, and topical symposia. It aims for a focus on substance and argument, unobstructed by technical jargon and unconstrained by formalistic rigidity. Engagement and reflexivity – The main commitment of the BJS is to engage current topics from the perspective of sociological knowledge. The Journal has reflected on the production of knowledge within the discipline; today, it does so with an eye towards social and political engagement. It seeks to increase its contributions and audiences beyond the US, and to contribute towards more diverse and global perspectives. Digital production and broad circulation – The Journal has shifted towards an “online first” approach. While the BJS continues to publish an annual print collection of essays and articles, most material first appears on the Journal’s website. All of our content is available online for broader distribution across the web through a Creative Commons license. Beyond our current institutional subscriptions, our publication is available at select bookstores and easily available through individual subscriptions. With a rolling call for papers, quicker turnarounds, interactive comment features, and an online-first approach, we have opened up a space to re-imagine social research in a wide range of written and visual forms. We look forward to reading your comments and critiques, and we invite you to submit your own content.